Movers R Us is a proud, Australian-owned and operated company with over 38 years of experience. Based in Sydney, Australia, we are your local experts for office removals and furniture removals. 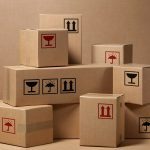 Moving your home or business can be an extremely stressful and demanding task and the help of professional removalists should always be considered. Movers R Us is your source for affordable, quality service when it comes time for you to move. Professionalism, integrity, and honesty have been paramount to the growth of our business. From packaging to transport, our experienced and friendly staff is here to serve you! Our team here at Movers R Us are well presented, diligent and punctual. We arrive on time and get the job done as quickly and safely as possible, ensuring limited disruptions to your family, business or organization. We strive to maintain the high standards we have set for ourselves in all aspects of our business. The recommendations and referrals received from our clients are a testament to this and something we are very proud of. Trust the highly experienced team at Movers R Us for your pre-packing and unpacking of home and office removals, household furniture removals, office relocations, international removals, interstate removals, storage of household goods, and commercial storage. All of our trucks are equipped with the highest quality removals blankets, trolleys and tool sets.